The VIGO Icicles glass vessel sink and Duris faucet set in brushed nickel finish brings a refreshing, modern style to your bathroom. The VG07006 Icicles glass vessel sink features a refreshing and inviting icicle-like pattern engraved into clear glass. Handmade with possible unique and slight colour variations, so no two sinks are identical. 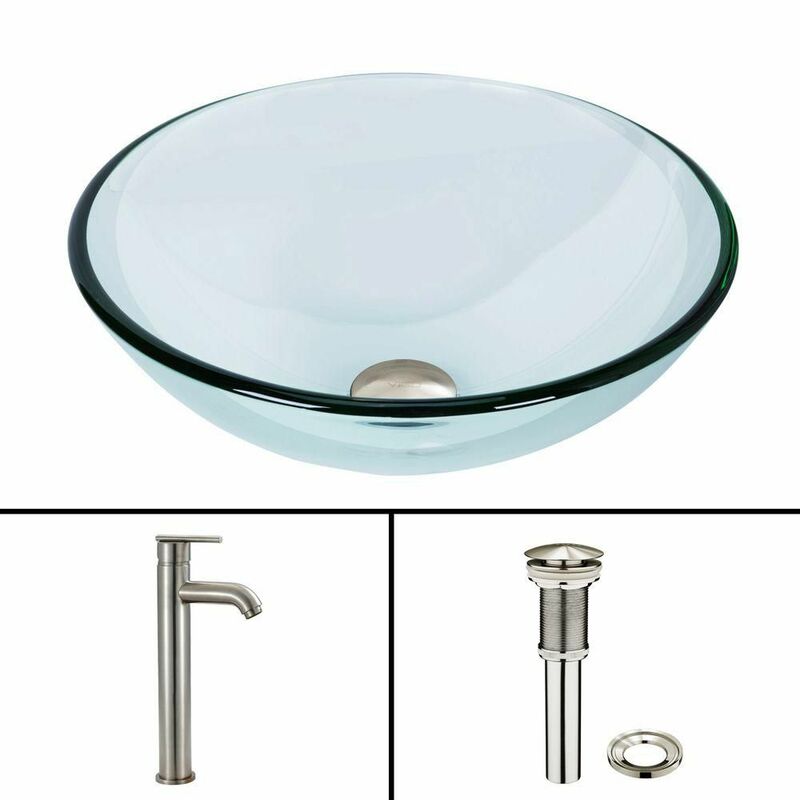 Glass Vessel Sink in Crystalline with Seville Vessel Faucet in Brushed Nickel is rated 5.0 out of 5 by 1. Rated 5 out of 5 by Urizar from Sink bowl Love it! Great price. Remodeled our half bath and it looks great!